Escher String Quartet | The Chamber Music Society of Lincoln Center. The Escher String Quartet has received acclaim for its profound musical insight and rare tonal beauty. A former BBC New Generation Artist, the quartet has performed at the BBC Proms at Cadogan Hall and is a regular guest at Wigmore Hall. 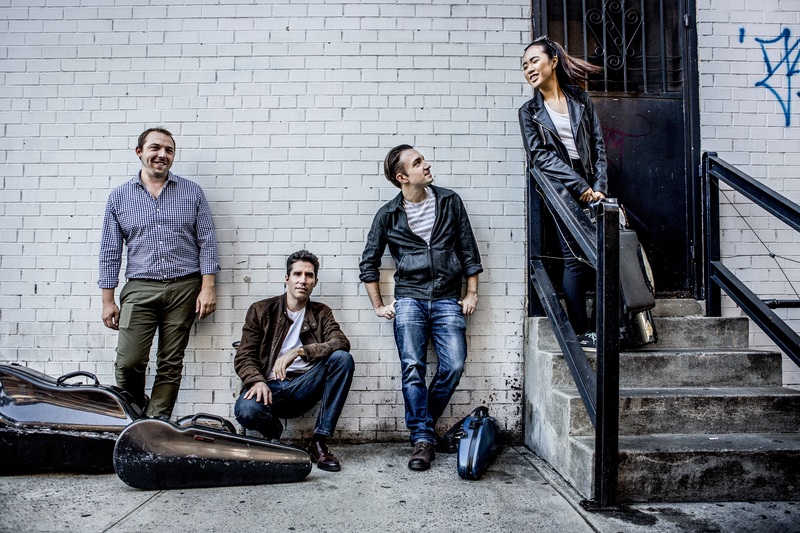 In its home town of New York, the ensemble serves as season artists of the Chamber Music Society of Lincoln Center, where it has presented the complete Zemlinsky quartet cycle as well as being one of five quartets chosen to collaborate in a complete presentation of Beethoven’s string quartets. The 2018-19 season finds the Escher Quartet touring the U.S. extensively, performing in numerous cities and venues including New York’s Alice Tully Hall, Washington D.C.’s Kennedy Center, the Segerstrom Center for the Arts in Costa Mesa, Chicago’s Harris Theater, West Palm Beach, Baltimore, and Pasadena. 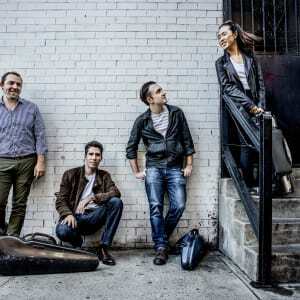 Internationally, the quartet returns for a season long residency at London’s Wigmore Hall, where it will present three self-curated programs highlighting American and American-influenced compositions. The Escher Quartet has made a distinctive impression throughout Europe, with recent debuts including the Amsterdam Concertgebouw, Berlin Konzerthaus, London’s Kings Place, Slovenian Philharmonic Hall, Les Grands Interprètes Geneva, Tel Aviv Museum of Art, and Auditorium du Louvre. The group has appeared at festivals such as the Heidelberg Spring Festival, Budapest’s Franz Liszt Academy, Dublin’s Great Music in Irish Houses, the Risør Chamber Music Festival in Norway, the Hong Kong International Chamber Music Festival, and the Perth International Arts Festival in Australia. Alongside its growing European profile, the Escher Quartet continues to flourish in its home country, performing at the Aspen Music Festival, Bowdoin Music Festival, Toronto Summer Music, Chamber Music San Francisco, Music@Menlo, and the Ravinia and Caramoor festivals. The Escher Quartet is also currently in residence at Southern Methodist University in Dallas, Texas, the Tuesday Musical Association in Akron, and the University of Akron. Recordings of the complete Mendelssohn quartets, released on the BIS label in 2015-17, were received with the highest critical acclaim, with comments such as “…eloquent, full-blooded playing... The four players offer a beautiful blend of individuality and accord” (BBC Music Magazine). The Escher’s most recent recording, beloved quartets of Dvorák, Borodin, and Tchaikovsky, was met with equal enthusiasm. The quartet has also recorded the complete Zemlinsky String Quartets in two volumes, released on the Naxos label in 2013 and 2014. Within months of its inception in 2005, the ensemble came to the attention of key musical figures worldwide. Championed by the Emerson Quartet, the Escher Quartet was invited by both Pinchas Zukerman and Itzhak Perlman to be Quartet in Residence at each artist's summer festival: the Young Artists Program at Canada’s National Arts Centre; and the Perlman Chamber Music Program on Shelter Island, NY. The quartet has since become one of the very few chamber ensembles to be awarded the prestigious Avery Fisher Career Grant. The Escher Quartet takes its name from the Dutch graphic artist M.C. Escher, inspired by Escher’s method of interplay between individual components working together to form a whole.